Can you imagine living in a global society where time is the only accepted universal form of payment? Imagine a society where no money exchanged hands but a society where the only accepted currency is in units of time. There would be no Dollars, no Euros, no Rubles, no Pounds, and no cryptocurrencies either, because there will either be simply too many of them or there’s simply been a general loss of interest in them. In any case, this is purely hypothetical and will probably never happen, but I found the concept to be fascinating in a dark dystopian-sort of way; not unlike one of the brilliant Black Mirror TV episodes in which one earned their keep by pedalling stationary cycles to generate power in which you receive credits which you can use to buy goods and services, or more nefariously, to block forced advertising shoved down your throat. However, instead of pedalling for power credits, what about earning time in the form of digital currency? Has it Been Thought Out Before? 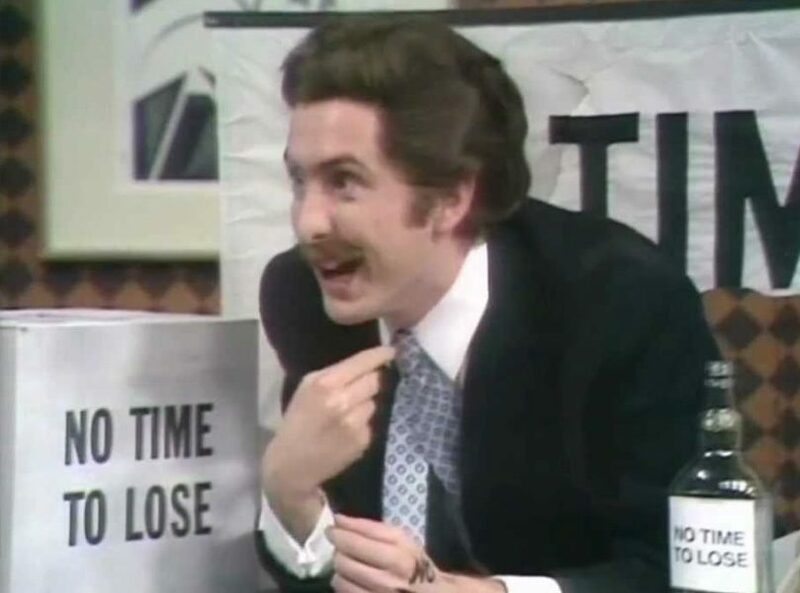 Now before I venture any further, I would like to point out that the concept is not a new one at all; but rather one that started during 19th century Britain in the form of issuing labour notes denominated in various units from 1 hour up to 80 hours. 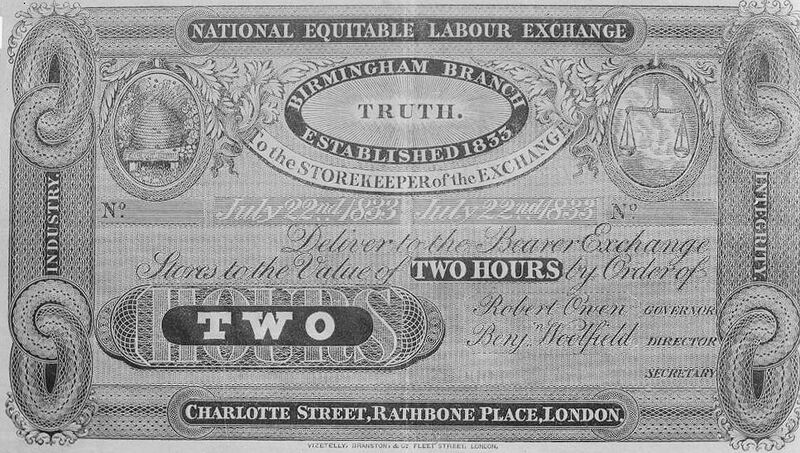 These labour notes could be exchanged at the then, National Equitable Labour Exchange founded by Robert Owen, just like any other exchange today. Much later during the 20th century, Paul Glover proposed Ithaca Hours where each hour represented one hour of basic labour or $10. The idea is to create a tax-exempt currency in terms of time dollars which would neither inflate or deflate or be a vehicle for storing wealth such as gold, property, fine art or more controversially, cryptocurrencies such as Bitcoin, Ethereum and Litecoin amongst their many hundreds of. Subsequently, the concept of time trading was born creating a new set of principles where everyone is an asset and that all work can be expressed in terms of time. As so often happens with these new schemes, the very ethos which time dollars aims to achieve is clouded by the very same set of issues that occurs today with standard fiat currency: it can be hoarded, it can be manipulated (who issues the time dollar notes), which means, it can be deflated or inflated by a governing authority. 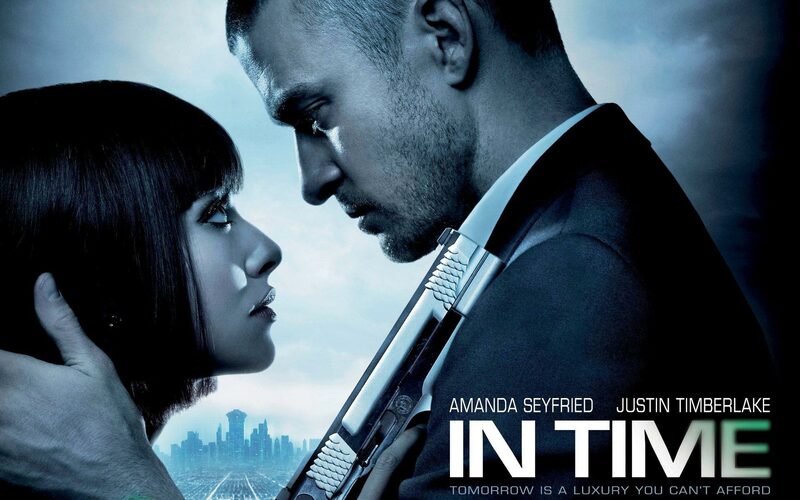 I re-watched a movie recently called In Time (2011) written, directed and produced by Andrew Niccol. 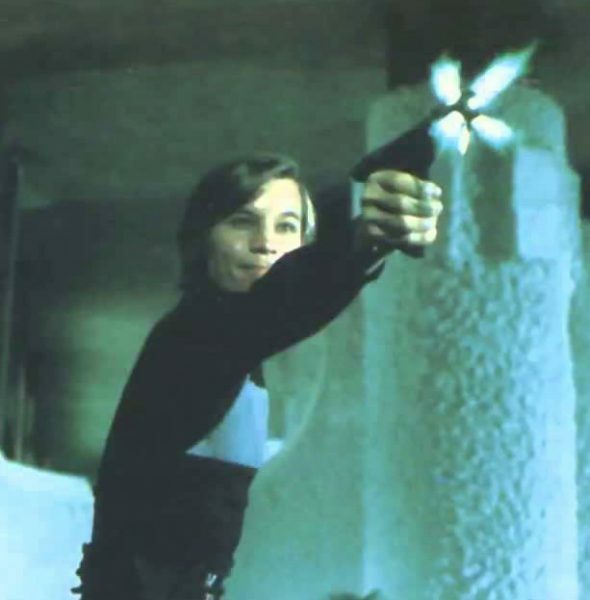 This science-fiction movie portrayed a dystopian future in which everyone was genetically-engineered with a built-in biological clock in which, at the age of 25, you are given one year of time credit. This is in contrast to Logan’s Run (1976) (based on a short story called Half-Life), whereby residents who reach the age of 30 are ‘renewed’ by standing on a rotating carousel in which they are unwittingly destroyed by what appears to be some sort of high-voltage apparatus as they ascend upwards through the air. Those who make the correct assumption that they are simply just going to be destroyed tend to try to escape carousel and the city and are known as runners and it is up to the sandmen to track them down to eliminate them. In Time is different by the token that once you achieve 25 years, your biological clock stops which means that you stop physically aging from that point on. However, the caveat is that you are given one year to give you some time (no pun intended) to earn more time. In the movie, the countdown is portrayed by a luminous green digital clock through the skin of your arm ticking down to zero in fractions of a second. As soon as you run out of time, you die very quickly by an induced short sharp heart attack. The idea behind the movie is that you can buy or sell time just like you would do with today’s ordinary money. For example, a cup of coffee could cost you 4 minutes. A nice house might cost you two years. Conversely, depending on what job you do, you earn time and, of course, this is added to your in-built digital clock which is always ominously ticking towards zero. Therefore, if you keep buying time, you can live indefinitely. The idea of transferring time from one individual to another by simply grasping them by the arm and twisting it is somewhat flawed considering that time can be stolen far too easy by unsuspecting individuals; for example, when they are asleep. But, thankfully after all, it’s only a story. By the way, just for fun, I think I’ll call this unit of digital currency, along with its ticker, Digital Time Currency (DTC) as I suspect no one has come up with it yet! The story has an interesting spin on this. Society is divided up into geographical zones, from the poorer areas where residents live on a day-by-day basis fearful of oncoming death with never much time to spare on their clocks, often in hours to the extravagantly wealthy where residents may have accumulated centuries or even thousands of years. An interesting twist came in the film whereby a bored resident with more than a century on his clock travelled from the wealthy zone to the poor zone clearly with no desire to live anymore and simply gave all his time to a poor resident (the main character of the movie) only then to wait for his life to end, which it upruptly did as he sat on top of a bridge waiting for the countdown to reach zero at which point, he was given that induced heart attack, after which, he plummeted to the ground*. But what was particularly interesting is that this ‘donation’ of time was flagged by an alert to the Timekeepers, a sort of central authority for time much like the Federal Reserve in the US for governing money supply. The Timekeepers held a massive reserve of time (in millions of years) which they kept in, what appeared to look like, hardware wallets within secured vaults. Whether the concept of digital hardware wallets was known by the writer in 2011 is conjecture, but it might as well have been the case. The Timekeepers distributed the time from zone to zone in such a way as to not flood the market. They also had control of the pricing structures within the zones including the manipulation of how much certain commodities should cost and so on. This dystopian future, to some extents, had elements of a command economy as in the former Soviet Union. To make the film more interesting and action-worthy, the main character was pursued by the Timekeepers’ police force to take back the time that was given to him by the guy who commited suicide. I couldn’t help thinking about some of the parallels this concept shares with some of our cryptocurrencies. If indeed the time had to be verified from one entity to another in such a quick space of time, I could envisage some sort of node-based verification structure like directed acyclic graph (DAG) used by cryptocurrencies like IOTA, Byteball or even Raiblocks (now called Nano). I’m not sure that conventional blockchain technology would suffice given the speed required to undertake such a fast transaction! The other thing I wondered was if this so-called time currency could be destroyed or generated and how it was created in the first place. Was it pre-mined? If so, who mined it and why? How many units of time were created? I’m fairly certain that none of these aspects were in the writer’s mind but it’s food for thought. But whatever the circumstances; time, as portrayed in the story, is considered the most precious commodity of all. And I’m sure some enterprising individual is going to release a DTC ICO (initial coin offering). But I’m sure as hell not going to invest in it because, I’ve simply got no time to lose! 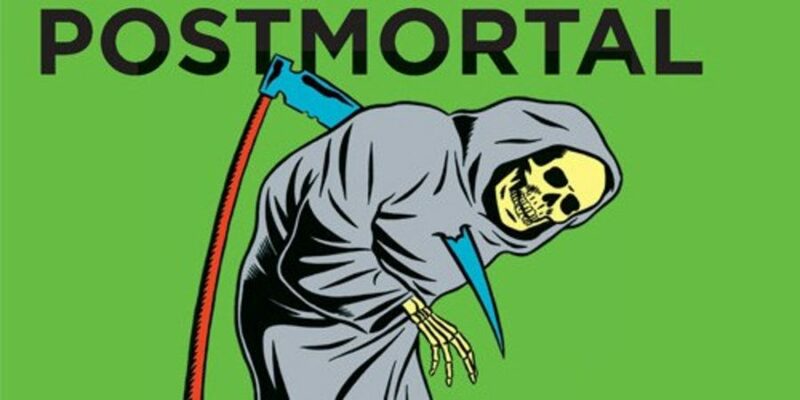 *Incidentally, there is a very good book called The Postmortal by Drew Magary in which a drug can be bought which gives you eternal life. Many of those who took the drug chose to end their lives by suicide due to boredom.